Measures: 14G (1.6mm), 3/8" (10mm). Surgical Steel Shaft , Acrylic Balls. 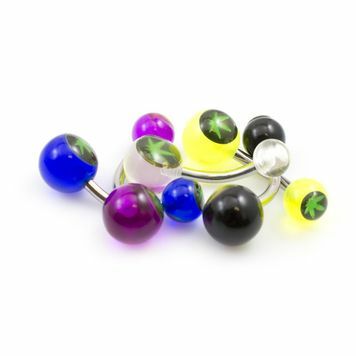 You will receive a pack of 5 assorted belly button rings with pot leaf design.